The new combat style is inspired by Bruce Lee's legendary Jeet Kune Do. 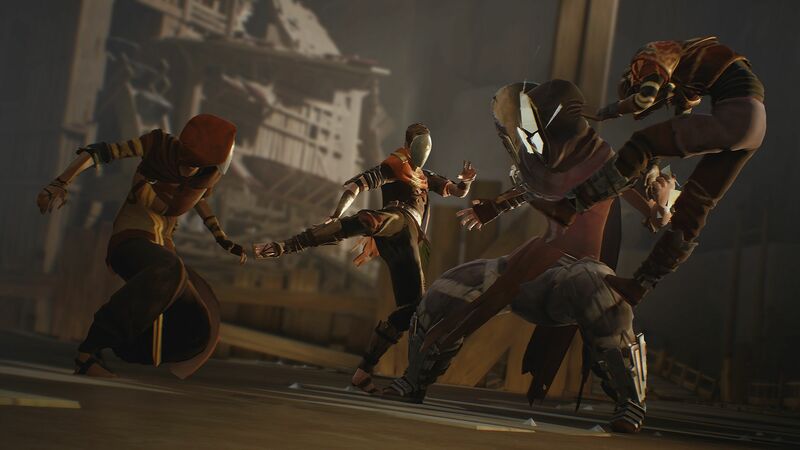 Absolver is a very solid indie brawler that launched on PC, Xbox One, PS4 in August 2017 and got a new burst of life by being one Sony's PlayStation Plus titles this past July. Old users have enjoyed regular updates to the experience and, now, new users get to see how the Sloclap studio treats its players. Coming September 25, 2018, the new and free Downfall expansion delivers a new game mode and Faejin combat style. The name of the expansion is also the name of the new mode and, as described in the PlayStation blog post, it challenges players by sending them down into the Adalian Mines to battle Arcell and his corrupted Prospects. Throughout this new journey for Absolver, players will collect Gleam that can be transformed into gear or experience rewards. With these improvements, players will grow stronger until they're able to take on Arcell himself. Each run through the Mines and Temples will be unique via different challenges and situations along with three boss fights. The new combat style, Faejin, is inspired by Bruce Lee's Jeet Kune Do and is a more complex style than what the game already has. Also, it's a perfect addition to the game we described as "Like Water" in our 8/10 Absolver review. Players will have to balance use of defensive abilities that shift with your stance along with the fluid offensive strikes, all totalling to three-dozen strikes for bare hands, wargloves, and sword combat. The expansion also includes the introduction of School Challenges, which include reworked leaderboards. Each season features three specific rewards for each ranking category and school members will compete against each other to earn them. Absolver: Downfall is set to go live on September 25, 2018, and will feature all of these exciting additions along with new equipment sets, prestige variants, emotes, and more. Stay tuned to Shacknews for additional updates.